Aspen Real Estate Statistics Report: It’s A Seller’s Market! The Aspen Board of Realtors recently released the fourth quarter report for the Aspen and Snowmass real estate markets, among other areas throughout the Roaring Fork Valley. There are interesting insights to be gleaned from the Q4 stats about our local real estate industry. The Aspen/Glenwood Spring MLS is a great resource for statistics, quantitative data, and reports. However, these reports are numbers-centric and it helps to have a real estate expert point out talking points, highlight trends, address opportunities, and turn the numbers into a narrative. Below, you’ll find insider information about the Aspen and Snowmass real estate markets’ Q4 statistics. In short, it’s a seller’s market! Check out the fourth quarter reports from the Aspen Board of Realtors Here is the Q4 Report for Aspen & here is the Q4 Report for Snowmass Village. There is a lot to discuss when looking at the fourth quarter real estate reports. Most importantly, is that the number of new single-family home listings to hit the MLS in Aspen and Snowmass declined in Q4. Listings dropped 11.8% in Aspen compared to Q4 in 2013, and there was a 10.8% change from the previous year in Snowmass. 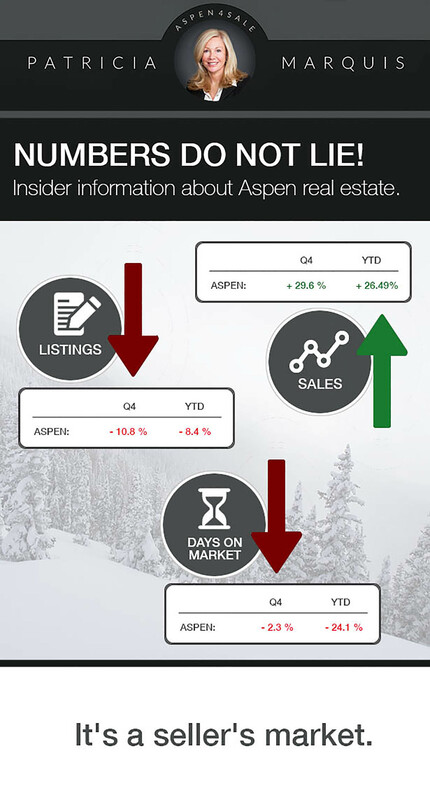 Year to date, the number of listings in Aspen dropped 8.4% while Snowmass increased by 4.7%. What does this mean for you? Well, it depends on if you’re a buyer or a seller. For buyers, the pool of single-family home options has declined; in other words, there was less to choose from in Aspen and Snowmass during Q4. Interestingly, the number of sold listings during the fourth quarter of 2014 increased in Aspen by 29.6% and remained exactly the same in Snowmass compared to 2013. The increase in sales illustrates that buyers want to buy. For sellers, this information is a dream! The demand for real estate in Aspen and Snowmass is spiking, inventory is declining, and sales are increasing. Now is a fantastic time to consider selling your home if you have been debating about upgrading to a new or larger home. There are buyers clamoring for options and there’s a dearth of listings. Based on the Q4 statistics for single-family homes in Aspen and Snowmass, I am confident that we will sell your home if we price it properly. Last, but definitely not least, I’m thrilled to report that the days on the market until sale data (DOM) for both Aspen and Snowmass is going in a terrific direction! The year-to-date stats show that DOM to sale in Aspen has declined by an exciting 24.1% and the days on market until sale number in Snowmass has dropped by 31.8%. So, listings are flying at a seller-friendly pace! This is great news for my clients who want to list. It is a seller’s market in Aspen and Snowmass. Buyers are eagerly gobbling up listings. New listings of single-family homes in Aspen and Snowmass are down. 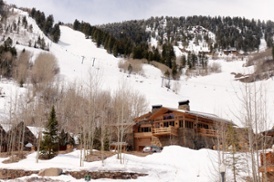 Sold listings in Aspen and Snowmass are up. DOM until sale in Aspen and Snowmass are down. Now is a great time to list your property if you have been wanting to sell! For buyers who do not view price as an object, purchasing land in Aspen presents an opportunity to build a dream home! The privacy, seclusion, unparalleled beauty and chance to customize are definitive aspects of buying land and building in Aspen. Sprawling land listings in the immediate Aspen area range in price from $500,000 to eight figures. And, there are amazingly talented local architects and builders to ensure that your investment results in the perfect home. For the person looking to make a wise real estate investment, Aspen presents a unique opportunity because of its incessant seller-friendly environment. There is always demand for an Aspen home, and prices jump year-to-year resulting in a solid return on investment. For an example, look at the Q3 statistics via Land and Title Guarantee Company (above). 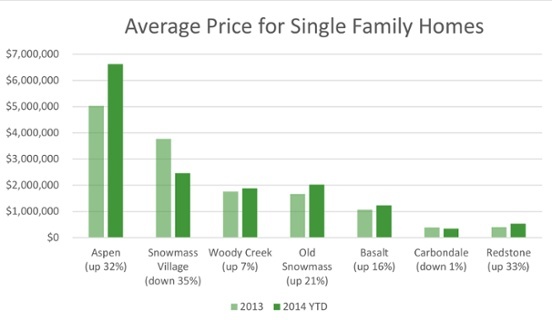 The average price for single-family homes in Aspen is consistently climbing compared to 2013 stats. What’s that mean? It’s a seller’s market in Aspen! throughout Aspen’s surrounding mountains laid the foundation for our town. After the value of silver waned in the late 1800s and early 1900s, another natural resource that Aspen is rich in proved to be even more valuable: Snow! Aspen’s first chairlift was erected in 1939, whisking skiers up Aspen Mountain and allowing them to tap into the transcendent experience of sliding down mountains on snow. 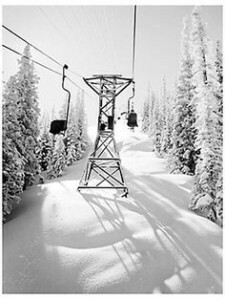 Since then, the ski and snowboard culture has been an integral aspect of Aspen’s rich tapestry. Despite a population of roughly 8,000 year-round residents (that number spikes to upwards of 25,000 people during peak times of year), Aspen, Colorado has a number of neighborhoods that my potential real estate clients need to be intimate with when beginning their search for real estate in Aspen. This is the inaugural post of my online series devoted to Aspen’s many charming, character-driven neighborhoods. What area am I focusing on for my first Aspen Real Estate Neighborhood Guide? Red Mountain, of course! There’s no debating that Aspen is a small town. Running into friends and neighbors while dining on Restaurant Row is commonplace. Standing behind a business colleague or the ski-shop employee who just tuned your skis while waiting to checkout at the market will happen. And, don’t be surprised if while being poured a glass of wine at Ajax Tavern, you discover that the stranger next to is not a stranger, but in fact a great friend of a friend. 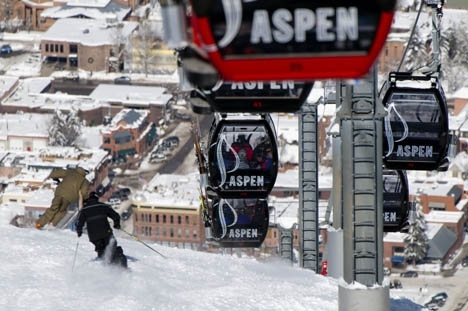 These are a few examples—of many—that illustrate why Aspen, Colorado so special. For all the small-town charm that Aspen exudes, we have a bustling cultural scene and jam-packed event schedule that keep belie our mountain-town atmosphere. Perched high above downtown Aspen on a hillside opposite “Ajax” (that’s what locals call Aspen Mountain ski resort), Red Mountain boasts real estate attributes that are quintessentially “Aspen” in the minds of most potential buyers. World-class architects often build homes on Red Mountain. And, these hand-crafted Red Mountain homes have panoramic views like you’ve never seen. Stunning birds-eye-views of downtown Aspen are a main part of what Red Mountain real estate offers compared to other Aspen neighborhoods. For buyers who prefer privacy, sprawling land and a slower speed—as opposed to the in-town penthouses and fast-paced feel of downtown Aspen real estate—Red Mountain homes promise a welcomed sense of seclusion for my clients looking to buy real estate in Aspen. The best part, however, is that while Red Mountain feels like it is secluded from everything, the neighborhood easily accesses all that Aspen has on-tap. Literally, it takes no more than eight minutes from your private Red Mountain driveway to get to the heart of downtown Aspen. So, you are never far from Aspen’s world-renowned restaurants and nightlife if you own on Red Mountain. There is also a terrific network of trails for hiking and biking easily reached from most Red Mountain homes. The outdoor lifestyle that makes Aspen so unique is one appealing selling point of this Aspen neighborhood. Dense groves of aspen trees with quaking leaves, old-growth pine trees rising high, wildlife grazing and wildflowers blooming… All of these are on-hand for Red Mountain homeowners. These are just a few examples, of many, that Red Mountain real estate offers. The value of this Aspen neighborhood is unparalleled.